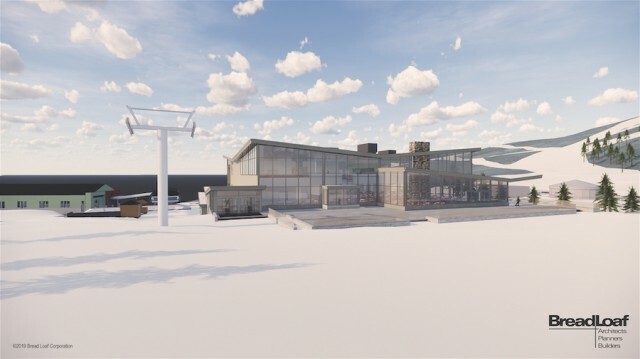 A reimagined K-1 base lodge with an expanded footprint is in store for skiers and riders at Vermont’s Killington Resort for the 2020-21 season. The Beast of the East also has plans in the works for a new four-person, fixed grip chairlift for the 2019-20 season to replace the existing North Ridge Triple. 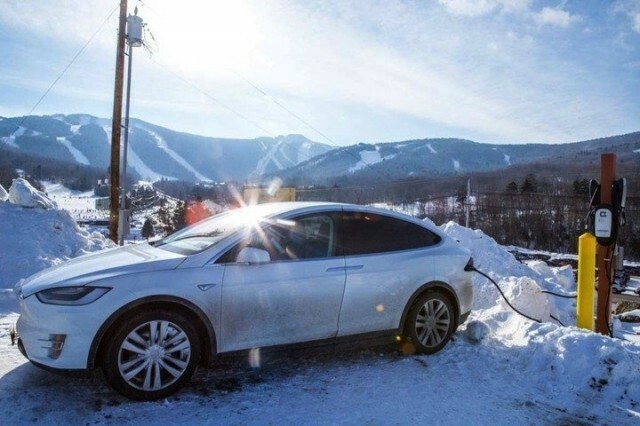 And once again, Killington is pumping more resources into their snowmaking systems. All upgrades are pending permit approval. 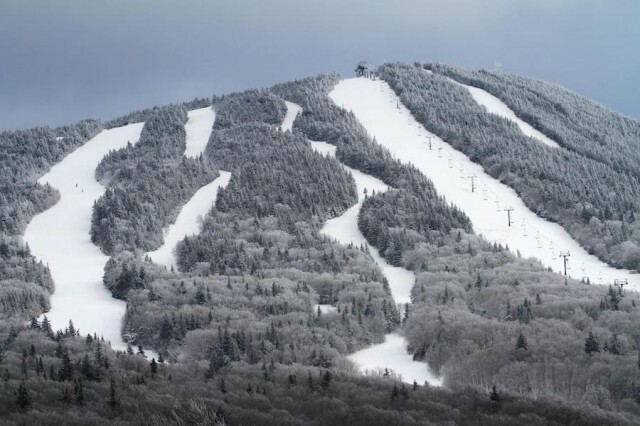 Although the Beast of the East is known for its snowmaking muscle, the little sister of legendary Killington Resort, Vermont’s Pico Mountain, will see major upgrades to its snowmaking system next season. Looking to have a sweet powder stash or all that fresh corduroy to yourself? 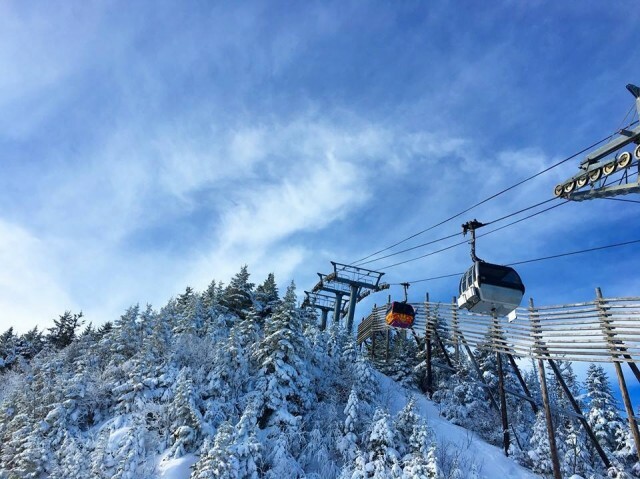 Vermont’s Pico Mountain, home to big mountain terrain with small mountain charm, is now offering a private mountain rental option on Tuesdays and Wednesdays during the 2018-19 season. 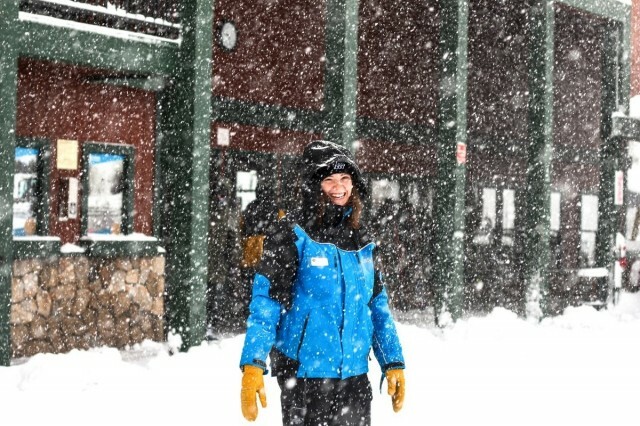 The Beast of the East is now making the venerable season pass a plural adventure, with possibly the first mountain resort four-season access pass to their year-round mountain playground for $99 a month. 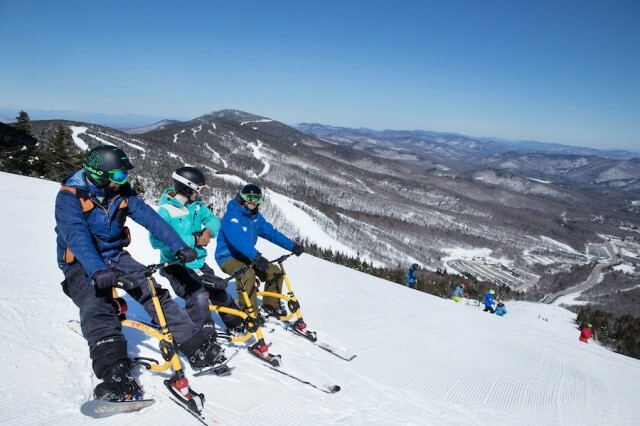 Carrying the momentum of a commitment to host the Audi FIS Ski World Cup in 2017 and 2018, Vermont’s Killington will offer a number of upgrades this coming season. 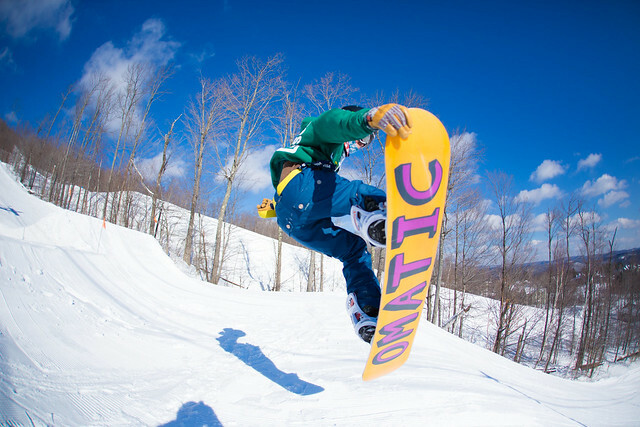 Killington’s parent company, POWDR, has invested $5.7 million in capital improvements at Killington and Pico across the properties’ year-round attractions. 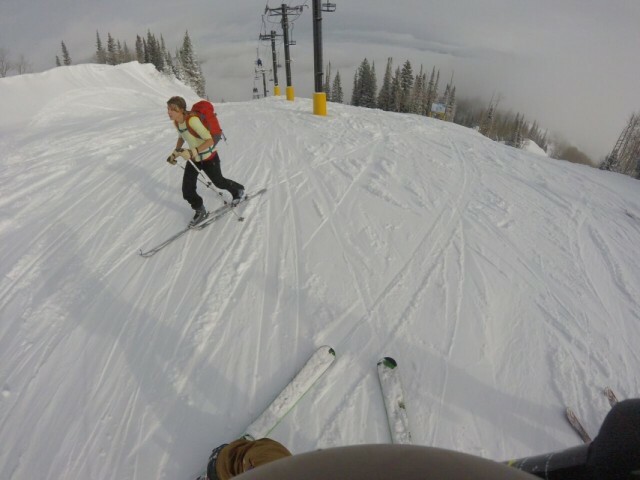 Be it to stay fit, save money or get some quiet time in the out-of-doors, ”uphill skiing” has become a staple at many U.S. resorts – requiring mountain managers to adopt rules for the activity. Resort Real Estate – Is It Time To Buy? 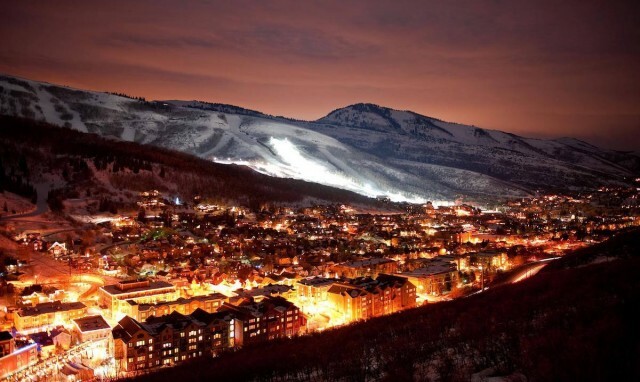 Park City is a popular Utah destination with a huge range of vacation properties. You’ve fallen in love with the skiing and riding lifestyle, so is now the time to invest in a mountain home to call your own? Prices have continued to climb since the 2008 recession’s precipitous drop, but since most mountain vacation properties have not reached 2006-07 peak prices, good values can still be had. 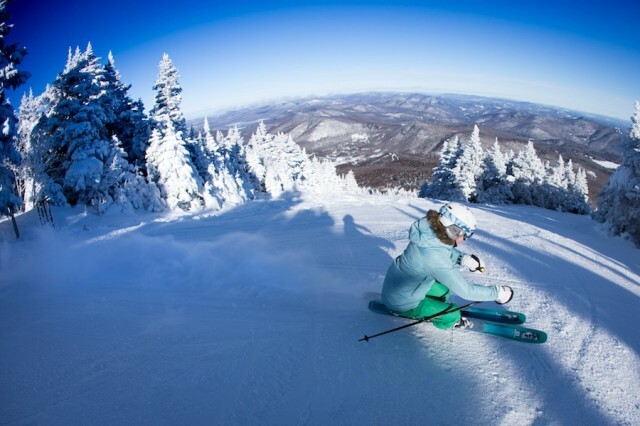 Buyers wanting to get into a vacation home for the ski season should get prequalified if going for a second home mortgage, advises Michelle Penner, managing broker of Peabody and Smith’s Bretton Woods office in New Hampshire. Bretton Woods’ inventory is limited and prices have been climbing, although not yet back to peak levels. 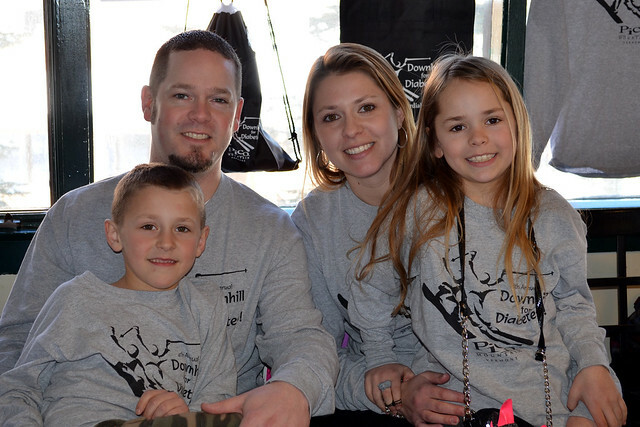 There are good values with condominiums and homes ranging from $225,000 to $950,000, Penner told SnoCountry.com. There’s a limited supply of condos in Killington, Vermont, but a two-plus year supply of homes, Ted Crawford of Prestige Real Estate said. Home prices range from $165,000 to $2.99 million. Crawford said condo prices are starting to increase but there are still very good values. Prices for two-bedroom condos range from $70,000 to $200,000 depending on location, amenities, and the homeowners association. Three- and four-bedroom units range from $100,000 to $715,000. At famous western destinations like Aspen, Jackson Hole, Vail and Park City, prices have gone up faster and properties costing millions are common at the resorts while nearby towns offer more affordable options. Park City is a popular destination with people from Salt Lake City and nationwide, investing in vacation properties because it’s convenient — half hour from the airport — and within an hour’s drive of 11 resorts and minutes to three, Realtor Quinn Eichner of Summit Sothebys International Realty told us. Prices have seen a “good recovery” and depend on the property size, age, amenities and neighborhood, with some at or near 2007’s peak prices, Eichner said. Slopeside at the Canyons, prices start in the $700s for a condo hotel unit while estate-sized residences go for $5-$18 million. Smaller (600 sq.ft. ), older units can be found in the $200s and hotel rooms in the low $100s as well as fractional ownership units starting at $110,000. More affordable pricing can be found in Midway, a Swiss-themed mountain town 20 minutes away where condos range from $199,000 (two bedroom/two bath) to $300,000 for large units. Other more affordable towns include Sandy with a median home price of $249,998 and Huntsville at $169,950. Pre-sales are common for new projects, and when a property turns out to be very popular, owners can do well with re-sales as well as rentals. 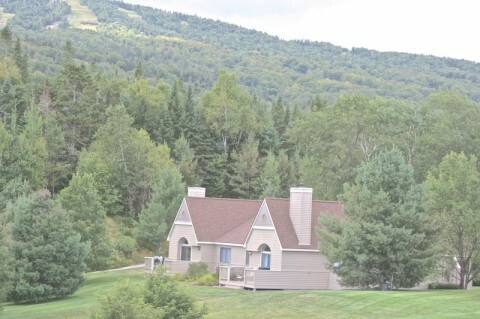 Brett Newton, real estate sales manager for New Hampshire’s Kearsarge Brook at Cranmore, reports the new base-area condo village breaks ground Sept. 27 with a first phase of 18 upscale units ($395,000 to $599,000). There’s a good selection available for fall 2017 occupancy. Refundable deposits of $1,200 for Century Club reservations are being taken for those interested in condos in the soon-to-be renovated Hampshire and Dix Houses at the historic New Hampshire Balsams Resort. Single hotel room and suite 100-day fractional ownerships will sell for $100,000 to $280,000 and include a 10-year season ski pass and golf. 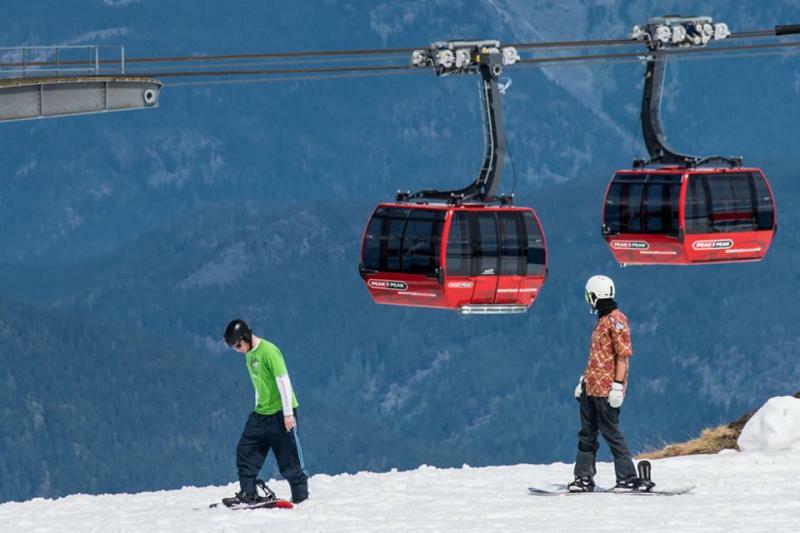 Whistler Blackcomb is going where many winter resorts have so far only touched upon: a completely smoke-free environment. Officials at the British Columbia resort have decided that tobacco smoking conflicts with what skiing and snowboarding is all about, and have enacted a property-wide smoking ban. 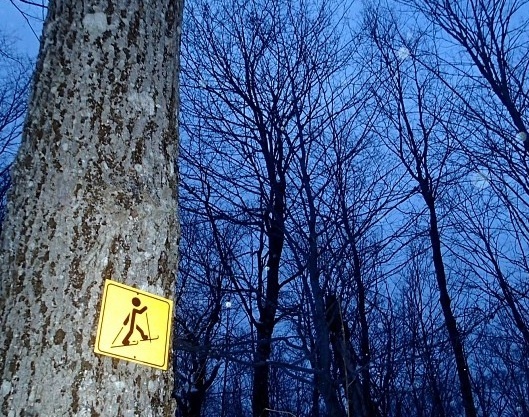 Signs are going up this summer, and visitors next season should expect the rules to be tightly enforced. 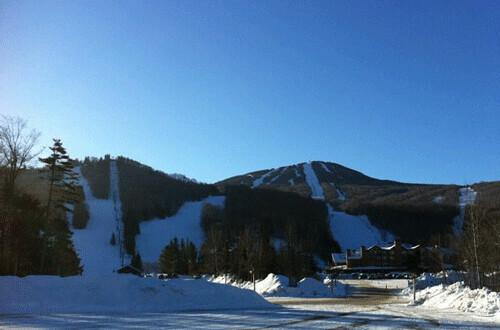 Pico Mountain Resort in Killington, Vt. will host the 5th Annual Downhill for Diabetes Ski and Snowboard Event Saturday, Feb. 21, 2015. 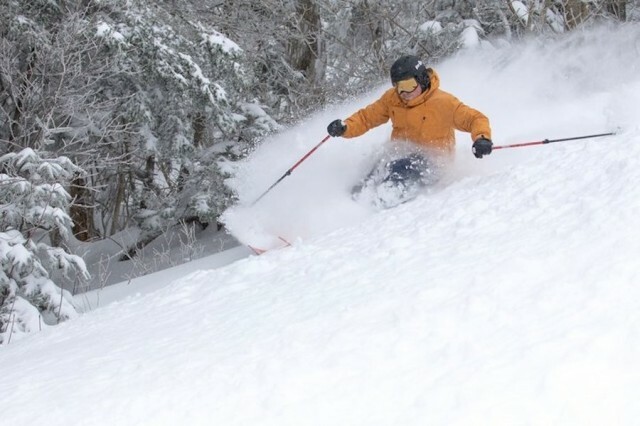 In a move that is likely to impact the evolution of on-resort uphill skinning throughout the East, Killington Resort (and by association Pico Mountain) has formalized its ongoing relationship with folks that like to earn turns on their nicely produced and manicured product. 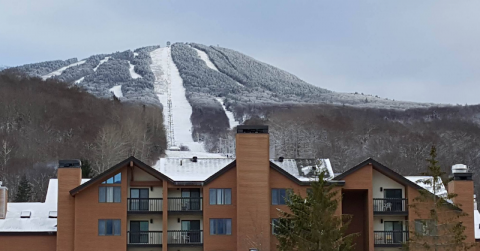 An investment of $9.8 million on snowmaking infrastructure, along with the opening of a 15,000-square-foot Peak Lodge at Killington, Vt., is on tap this winter. Meanwhile, just a few miles down Route 4 at Pico, the new $1.3 million Andrea Mead Lawrence Lodge for persons with disabilities and young racers, will debut Nov. 8-9. 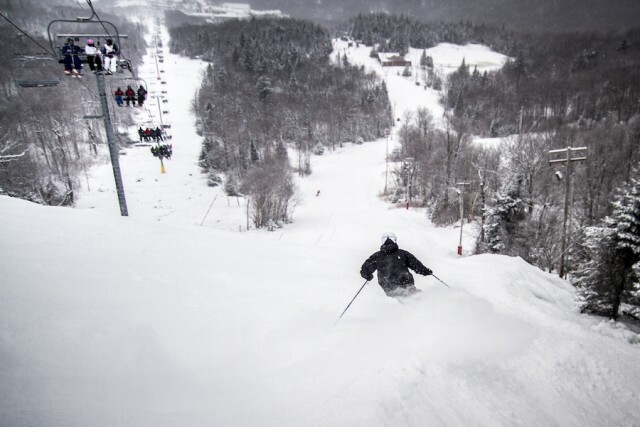 Vermont’s Killington Resort and Pico Mountain have announced $11 million in capital improvements for the 2013-14 winter season, the most significant capital spent since Powdr Corp purchased Killington Resort and Pico Mountain in 2007. 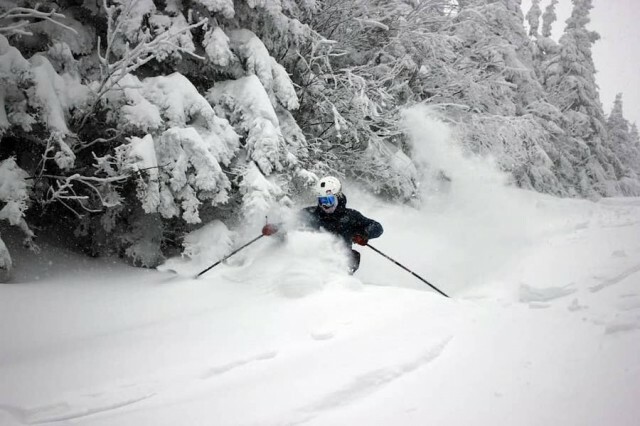 Pico Mountain, Vt. celebrates its 75th anniversary by raffling a ski and ride day-long party for the winner and “500 of your best friends.” A portion of the proceeds will benefit the Vermont Adaptive Ski & Sports Andrea Mead Lawrence Lodge.